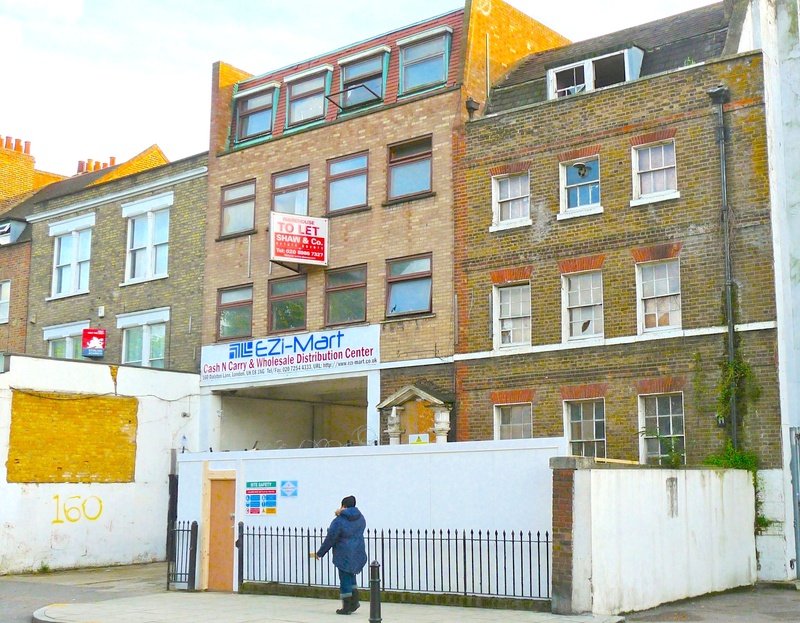 A RECORDING studio for musicians and filmmakers is to open in Dalston next month, December 2013. The audiovisual centre includes four air-conditioned music studios, a control studio, a 325 sq m hall with infinity wall and space for rehearsals, photography, film-making and exhibitions, video pre and post-production rooms and a viewing cinema. Noise reduction will be of a high standard, says Bantock. There will be a kitchen for users of the premises, who will be able to buy a drink. That, says Bantock, is where confusion has arisen, resulting in a leaflet objecting to his application for a late-night refreshment premises licence. Some local residents were apparently worried about late-night noise. Bantock says he was advised to apply for an entertainment licence as a catch-all. 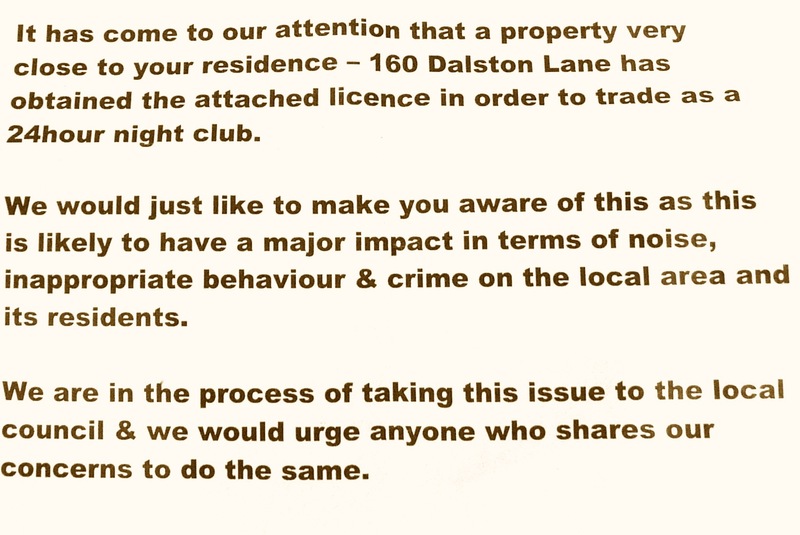 Loving Dalston has so far failed to find the originator of the notice. Ben Logie, of Healthy Stuff, the café a few doors from Blue Studios, says: “It looks good and is high-spec. He expects to employ 10 full-time staff, as well as freelances. Early in December, the studios plans to hold an exhibition by the American-born high-street-style photographer Al Vandenberg (1932-2012) who died in England. * Blue Studios, 160 Dalston Lane, Hackney E8 1NG. * The deadline for comments on the licence application is Thurs 17 Oct 2013. They’ve been quiet for a month or so while they waited for their licence. We got a letter yesterday saying they’ve withdrawn the application. Does a “high level of noise reduction” mean there will be no external noise? I don’t know. I was avoiding technical terms, but since you ask, my notes show that Andrew Bantock said the studios bettered the council’s 60-decibel level, which equates to conversation in a restaurant. I agree it is misleading. I have and know many others who have objected to the 24-hour licence. I object to the licensing and development of a recording studio on this site. A 24-hour-drinking licence will cause noise pollution and bring crime to the area. Your article is misleading. There is considerable local opposition to the licensing application. I object totally to the licensing and development of a recording studio on this site accessible/operational 24 hours a day. This is a residential area, with the great majority of homeowners and renters employed — and therefore conforming to a day/night schedule with night necessarily being a quiet time. Why would a premises that is suppose to finish at 11pm require a 24-hour licence? Why does a recording studio need to be licensed at all? See those big two white windows to the left of the building. That’s my room, and my living room. The Blue Room has been noise-polluting our community for two years. I was horrified to find out about the 24-hour-drinking licence application. Noise, violence, drinking… And I’m not some old lady moaning: I’m 22. No way can we accept this.